Not so long ago, in the days before the web, people had to actually go to work. They got dressed in the morning, fed their children and pets, rode the train or drove a car and clocked in for a productive day in the traditional clinical environment – and many still do. But with the help of the Internet, working at home is becoming a reality for many people. Healthcare careers are no exception; this industry now offers options for people who would rather not commute to the office every day. 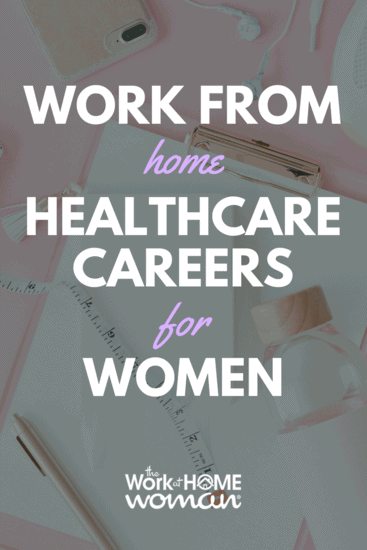 If you've never considered a medical career because hospitals and doctors' offices aren't your things, take heart: There are many high-paying healthcare careers that you can take advantage of from your home. In this list, we included high-paying healthcare jobs that are able to to be done from home and companies that hire for these remote positions. A speech-language pathologist is one example of a specialist who can work-at-home or in the homes of others. If you enjoy the art of communication and helping others communicate, consider this option. SLPs help patients with difficulties pertaining to speech, language, and voice. They also work with cognitive components such as attention and memory. Requirements include a master's degree in Speech-Language Pathology and passing the Speech-Language Pathology Praxis exam, as well as supervised clinical hours. 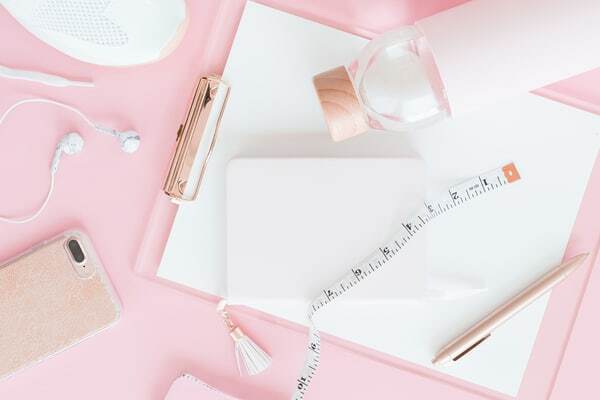 According to the Bureau of Labor Statistics, the median income for a speech-language pathologist is $76,610 with a positive outlook for growth. With a working computer and the right software, you could work-from-home as a medical biller and coder. Medical coders review the diagnosis records from physicians, nurses and other health professionals and translate them into the code necessary to file insurance claims. One reason this career is growing rapidly is that there's currently a shortage of qualified coders. You don't need a bachelor's degree to become a medical coder, though it's certainly encouraged. You'll still have to take various medical coding courses and successfully pass the Certified Medical Coder exam. Medical coding is the lowest-paying of the bunch but it also requires the least amount of schooling. According to the Bureau of Labor Statistics the median wage for a medical biller and coder is $39,180, and with the aging population, this position is expected to see continued growth. In many cases, you don't have to be in a hospital environment to work with patients who have psychological disorders. Patients may feel more at ease outside of a medical facility. Psychologists often analyze patients through talk therapy, which can take place anywhere. Most therapists have earned advanced degrees. They may hold a Ph.D. (Doctor of Philosophy) or a Psy.D (Doctor of Psychology), depending on the program of study, which must be accredited by the American Psychological Association. According to the Bureau of Labor Statistics, the median salary for a psychologist is $77,030 with a good outlook for growth. Because increasing numbers of women are electing to have their babies at home, the demand for certified midwives is rising. A midwife assists with everything from prenatal care and delivery to routine exams and other aspects of maternal health. It's necessary in this profession to visit the homes of your patients – but you're routine paperwork and planning can be done from home. Midwives are typically experienced registered nurses who obtain a master's degree and certification in midwifery. If this sounds like a good fit, but you don't want to earn a nursing degree, look into becoming a doula. Doulas provide one-on-one support to laboring women, but they don't require as much schooling as a midwife. According to the Bureau of Labor Statistics, the median salary for a nurse midwife is $103,640. At this time, I wasn't able to find any companies that hire remote midwives. From what I know about the industry, most midwives tend to start their own home-based businesses. Much like a career in midwifery, a career in occupational therapy may mean visiting patients outside of a clinical setting and helping them readjust after illness or injury. Occupational therapy's history can be traced to 1910 when a group of OTs argued that a patient's well-being is connected to social and economic factors in addition to physiological factors. You will need a master's degree in Occupational Therapy. OTs also have to pass the exam administered by the Board of Occupational Therapy. According to the Bureau of Labor Statistics, the median wage for an occupational therapist is $83,200 with a projected outlook for growth. One of the great aspects of being a registered nurse is the variety of work you can perform. With all the advances in technology, RNs can now work-from-home doing case management, medical record review, teaching, consulting, as well as telephonic assessment and care. With the high demand for qualified RNs — you're sure to find something that suits your personality and needs. You will need to obtain an associate's degree in nursing (ADN), or a bachelor's degree in science (BSN). Once you've graduated from an accredited program, you will need to pass your state's board of nursing exam to secure your RN license. The Bureau of Labor Statistics states that the median annual salary for a registered nurse with a bachelor's degree is $70,000 with a high projected growth rate of 15%. Traditionally, the pharmacist worked in a hospital or drug store, but with today's technology, they can do a wide variety of pharmaceutical jobs from home. Positions like remote order entry and screening and verification can all be done from the comfort of home. Pharmacists must obtain a Doctor of Pharmacy (Pharm.D.) as well as pass two board exams before they get their license to practice. According to the Bureau of Labor Statistics, the median income for a pharmacist is $124,170 with an average growth outlook. Doctors are probably the first image that comes to mind when thinking about healthcare cares. While traditionally physicians worked in a hospital or doctor's office, today there are many options for doctors to work-from-home. Jobs like physician reviewers, teledocs, and medical directors can all do their work from home. To become a doctor, you must get a bachelor's degree, a four-year medical degree, and upon completion, you'll have to do a residency and pass the board exam administered by the Board of Medical Directors. According to the Bureau of Labor Statistics, the median salary for a doctor is $208,000 with a higher than average outlook for growth. When most people think about a healthcare career, a maze of hallways inside a hospital or a doctor's waiting room might initially come to mind. However, there are many high-paying healthcare jobs for those who would like a career in medicine that allows them to work outside of the clinical environment. As the world population continues to grow and the demand for health professionals continues to increase, it's certain that health care services administered outside the walls of hospitals, clinics, and doctors' offices will become increasingly common. Do you work-from-home in the healthcare industry? Are you looking into another health or medical position? Drop us a note; we'd love to hear from you! Originally published June 22, 2013. Content updated August 28, 2018, by Holly Reisem Hanna. Steve Gingrich is a brand manager for CompHealth, supporting their 3 Allied Staffing and Placement divisions and the occupational therapy jobs division. He loves contributing to the blog and social media outlets as his side gig and has worked for CHG Healthcare since 2010. Hello I would like to do medical coding and billing, willing to learn and to work hard. I am a reiki and crystal master healer ,do you have any work from home option for this? I don’t know of any on-demand sites that are focused on reiki. There’s Zeel.com which is an on-demand massage platform, but you’d have to become a licensed massage therapist. At this time, your best bet is to start your own business offering these services.